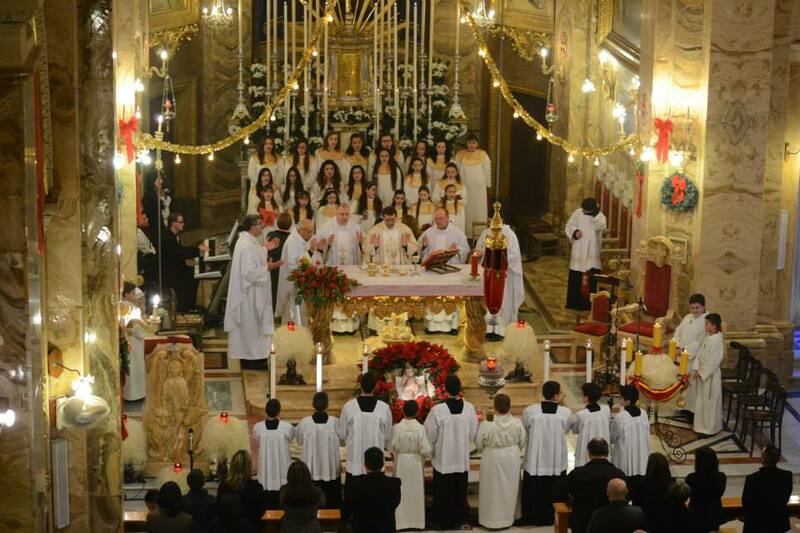 The Procession with the statue of the Child Jesus organized by the Society of Christian Doctrine known as MUSEUM will take place on Monday the 23rd of December. It will leave Stella Maris House at about 4.30 p.m. and end in Church. At about 5.15 p.m. the Santa Marija Band will lead the Musical Concert. During the Midnight Mass on Christmas day, altar server Owen Mercieca delivered The Priedka tat-Tifel. The parish choir animated the Mass. Archpriest Can. Rueben Micallef presided. On Thursday the 26th of December the Regina Angelorum Choir will organize a concert with Christmas Carols. A party will take place immediately afterwards. Everybody is invited.